Pressure is an interesting thing. For some people, it makes them nervous. Which often leads to making sloppy mistakes and generally under-performing. For others, pressure increases their concentration. They focus their efforts and as a result, perform to the best of their abilities. 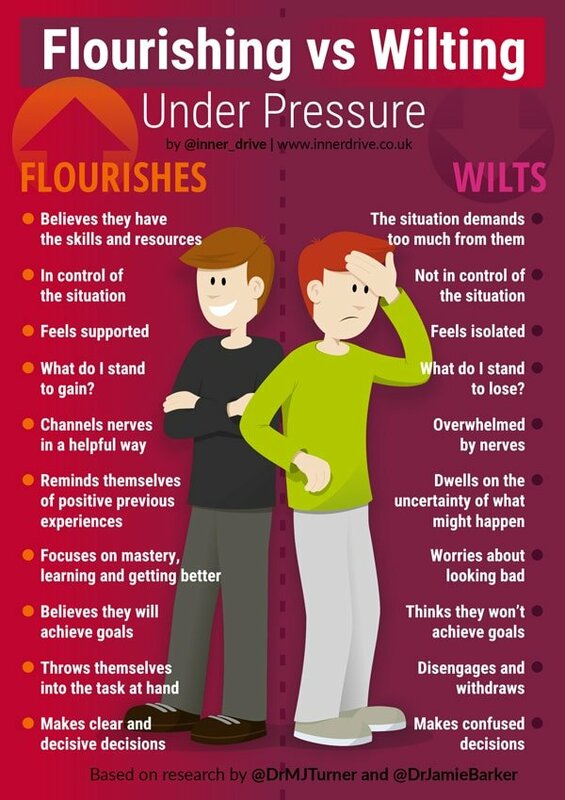 So, what separates those who flourish from those who wilt under pressure? Psychologist Dr Martin Turner and Dr Jamie Barker at Stafforfdshire University have been examining this exact question. Their research (some of which can be found here, here and here) suggests that how you perceive a situation can impact on how you think, feel and perform during it. If it is your interpretation that matters, then it means how you react to pressure is your choice. They have found that a person can interpret a situation as either a ‘challenge’ or a ‘threat’. Those who react well under pressure are said to be in ‘the challenge state’ whereas those who don’t are in ‘the threat state’. The challenge state is associated with an increase in adrenaline, whereas the threat state is associated with an increase in the stress hormone, cortisol. Which state you are in has significant consequences, as they have been found to influence how much effort you put in, your concentration levels and finally, how well you perform under pressure. So how do you get yourself into a challenge state before a big event? Research suggests that the best ways to do this include believing you have the skills and resources to meet the situation, feeling in control of the event, surrounding yourself with supportive people and reminding yourself of previous experiences in the past that have gone well. This results in people throwing themselves in the task at hand and making clear and decisive decisions. Conversely, people in the threat state tend to feel quite isolated, focus on what they stand to lose if things goes wrong, are overwhelmed by nerves, tend to worry about looking bad and believe their goals are unobtainable. As a result, they make muddled and confused decisions and even disengage and withdraw from the situation. Does this Apply to Both Sport and Education? This area of psychology has, to date, mainly been applied to sport. The build up to a match or a competition is a crucial time for athletes. Many have unhelpful thoughts. They worry about what will happen if it all goes wrong. Or about people judging them. Or stress about not making a mistakes. For most, this does not make them feel better and is unlikely to lead to better performances. Teaching athletes strategies to nudge themselves into a challenge state before they compete will help. But can this theory also be applied to students in schools? Sport and education share some similarities. Success in both domains requires months (if not years) of hard work. Both have the ability to make people nervous and anxious before a one-off performance (either exams or a cup-final). Both require being open to feedback. Both require the ability to perform under pressure. 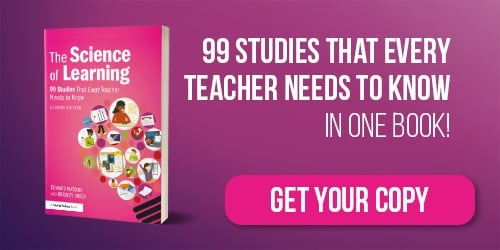 With more and more students struggling to deal with the pressures of exams (ChildLine received over 30,000 phone calls in a single year about this), this type of strategy may offer part of the solution. You can help students go towards a challenge state by helping them identify what they can control about their exams (i.e. how much revision they do), what they stand to gain if the exams goes well (typical answers we have heard from students tend to be get in to a good university/make my parents proud/make myself proud) and how to control their nerves in pressure situations (we recently blogged on this. You can read it here). Your ability to perform under pressure is not set in stone. It is malleable. Helping athletes, and students, interpret upcoming events as an opportunity to flourish, can help them perform at their best when it matters the most. and check out their site, The Smarter Thinking Project, for more blogs on the latest ‘Challenge v Threat’ research. Do students revise differently nearer to their exams? IQ or motivation: which matters most at school?